Want to Open Zerodha Demat Account? Zerodha is a pioneer discount brokerage house. It was the first in the industry to offer the discounted and minimal brokerage rates for stock trading in India. Zerodha offers a trading as well as DEMAT account facilities to its customers. The trading account is used to undertake and execute the trading i.e. buying and selling of stock, whereas, the DEMAT account is used to retain the stocks and scrips with the investor. Herein, we are discussing the cash outflow one should expect while opening accounts with Zerodha. How to Open Zerodha Demat Account? While opening a DEMAT account, Zerodha charges INR 300 for equity and for commodity it charges INR 200. Thereafter, one needs to pay an annual fee in to the tune of INR 300 (in case of non-individual account holder the fee would be INR 1000). This yearly recovered amount is to maintain the account with Zerodha i.e. an annual maintenance charge. Apart from this AMC and account opening charges, another nominal charge of INR 50 is leviable. 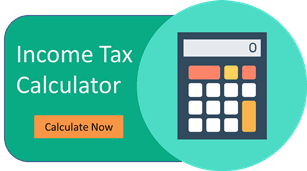 This is a statutory charge towards stamp duty or registration of power of authorization. Materialization charges: For converting a scrip into dematerialised form, this discount broker charges INR 10 per certificate. For re-materializing, it charges INR 15 plus the charges levied by CDSL. It also charges certain courier charges, if applicable, to the tune of INR 50. Cheque bounced: In case a customer’s cheque is bounced, he or she is charged with INR 350 as cheque bouncing charges. This charge is a bit on high side so as to discourage any such instances. Statement: Zerodha typically rolls out an e-statement, however, if a customer wishes for a physical statement then he is required to pay INR 50 as a courier charge. Zerodha demat is one of the largest demat account service among Discount Brokers in India. This Discount broker is a member of Central Depository Services Limited (CDSL) i.e. the CDSL. It is one of the fastest growing demat account services as any other discount broker. It is also giving a lot of full service brokers a run for their money. For opening a trading account, one needs to pay a one time fee as account opening fee of INR 200 to 300. Though there is a kind of entry charge, but Zerodha does not levy any annual maintenance charges for Zerodha Trading Account. So, for having a trading account, one will just have to cough out a nominal amount of INR 200 to INR 300 and can use the account for long enough with having to pay any maintenance charges.